Craig Reinolds from the Swanson Media Groups gives us his review of the Crossfire Binos from Vortex. Man is uniquely different from the other creatures on this planet and more specifically in being able to adapt and create with his mind to overcome obstacles. Although we may have limitations, comparatively speaking, with our vision, we have overcome by the fantastic tool we call binoculars. 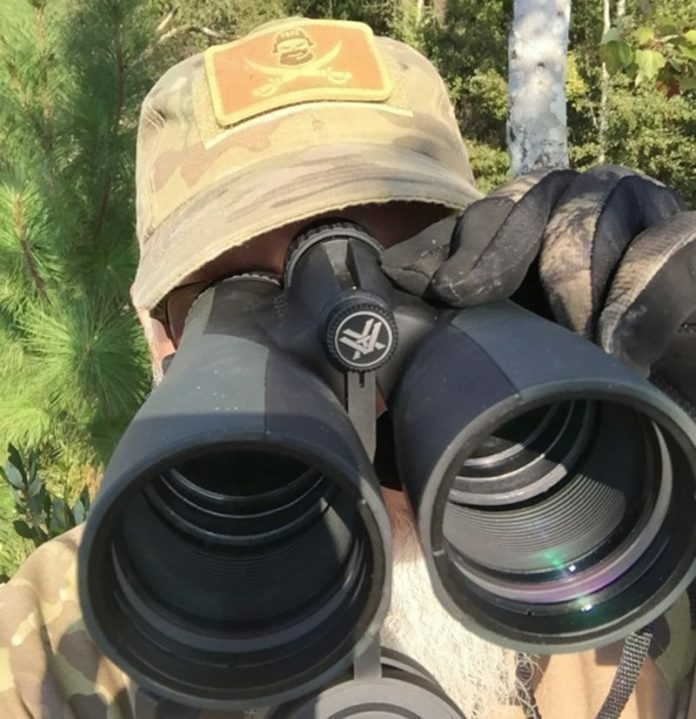 In the last several months I have had the opportunity to field test a pair of Crossfire Binoculars from Vortex Optics. I hope to interest you by sharing some of the knowledge I have gained and the wonderful experience I have had with such a great quality product from Vortex. First thing you should know is that I now have many products from Vortex Optics and I can say I am proud to roll with gear from such a well-respected company. This company provides a grade “A Plus” product and a customer service that is unsurpassed by any. The Vortex warranty on my binoculars states “Unlimited, Unconditional & Lifetime” what else can you say. If you can’t match quality, price, service and warranty with what comes from http://www.vortexoptics.com then you may as well sit down and shut up. My first thought is to address our need for optics or in this case a binocular. Human beings rely on their senses and most of the time a combination of senses combined with experiences, this is how we interpret our surroundings. The animal kingdom normally has far greater senses than we have and this gives them the advantage unless we apply tools and techniques to the equation. Eye sight as far as hunting goes, this can be an animal or an enemy, is limited when it come to natural surroundings and camouflages. We also have to learn to interpret what we see without our mind playing tricks on us. We need a tool to help us break down and focus on the slightest detail. This is done through magnification, and preferably a product developed with these needs in mind. Our eyes don’t always by themselves see the details needed and our brain tends to fill in the gaps of our vision. A high quality binocular can give us a tremendous step in improving our abilities to see our prey or enemy what ever the case may be. Even outdoor hobbies of observing nature or sporting events are brought to a High Definition event through the lenses of a binocular. The Vortex Crossfire binocular comes in as a very affordable binocular, but gives you a superior value for the price. Listed on the Vortex site as $219 with an accepted retail of $249. It is hard to find another binocular of equal price with the clarity, quality and technology of these binoculars. Throw in the warranty and there are no comparisons, competition void. The others may need a pair of Vortex binoculars to reveal how far off the mark they are as this company is setting a new standard in the industry. Available accessories from Vortex to name a few are the harness chest strap, Archer’s strap, Binoc-loc hinge lock, Tripod adapters and many more. Vortex Warranty as written on the box – We promise to repair or replace any damage or defect over the life of the product. Absolutely free, no matter the cause. Unlimited-Unconditional-Lifetime. The only thing that is not covered is if you loose it or it is stolen. Now I may even let my wife and grand kids use them. So what if they break them? I can attest to this being a true statement from Vortex Optics and don’t just take my word on it, as the reviews across the board for the Crossfire are currently five, you read correctly 5 out 5 stars! Right out of the box I was blown away with the very attractive, manly black case. It is a very clean, high quality material with a shoulder strap and pad. The strap has swivel clips for easy removal and preventing strap twist. On the back there is a thick strap you could run a belt through for waist carry. Inside you find a smooth material to prevent scratching and a net style pocket to carry lens cleaning products or what ever else you may desire. The binoculars come with a thick comfort strap that does just that, it allows the Crossfire to hang for hours of use without neck discomfort. The first feature that was a home run for me was the twist-up eye cups. Whether you wear prescription glasses or plain sunglasses, it is always for me an aggravation to lift or remove your glasses to look through the binoculars. This can also be a tragic hindrance in spotting what you are looking for, with that lapse in time. With glasses on you just leave the twist-ups all the way in and raise the binoculars straight to your glasses and view what you want to see. If you are not wearing glasses just twist out the cups for normal binocular use. This for me is the greatest thing since sliced bread. Next just by going through the simple set up with the diopter it is the perfect focused view. 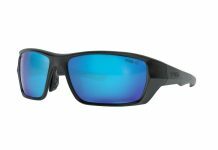 You could not get your optometrist to fit you better with the correct lens for your vision then what Vortex has done with the Crossfire binoculars. Once you have correctly focused your binoculars to your eyes you just rotate the center focus wheel for the desired distance and focus. I found this to be a great tool when glassing areas not familiar to me. I would shoot with my range finder a large object like a tree at different ranges 100, 200 and 300 yards. Now all I had to do was focus on that tree at the desired range and could easily determine the distance of what I was looking at based on focusing in or out from that distance. This way I could glass and judge distances without switching back and forth between binocular and range finder. The next benefit to the Crossfire was being able to penetrate the brush. Scanning an area and being able to adjust focus seemingly looking through the trees and brush was awesome spotting game before they even reach an opening was a major hit. Another advantage was during sun up and sun down transitions. If you have ever spent time looking for game during those time periods you know your eyes can play tricks on you especially with the changing degrees of light and shadows. The Vortex Crossfire binoculars gives you your edge back during these crucial times. It is like your entire field of view has been placed into HD mode and what would trick your brain or even worse what may get by you is now under a microscope. The clarity and definition are remarkable. This can only be described in my mind how an eagle must view the world, with such high definition and nothing escaping the field of his vision. No matter what you desire to view through binoculars, whether you are hunting, bird watching, sight seeing or attending a sporting event I am 100% confident these crossfire binoculars will supersede your expectations. Since I have had mine I have taken several people out on tours into the Okefenokee Swamp in Georgia. I get the greatest kick out of handing these Vortex Crossfires to a client and watching them react when they see a 12’ gator through them. Even when they look at a hawk or an owl it is like looking at a 4k live photo and you always hear a “whoooaaa…” when they get focused in on that bird. The details you are able to see are truly amazing. Thanks Vortex Optics for providing my crew those experiences. The sleek rubber armored chassis of the Crossfire binocular are not only just for durability. 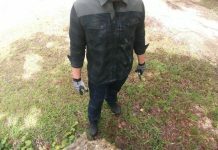 This rubberized look is very handsome in appearance and makes them comfortable to use as well, as it gives you a good grip in foul weather too. The two-tone look makes these binoculars sharp in appearance. Just set them out where others can see them and watch how they are drawn to pick them up and look through them to another world. The reactions are priceless. To sum it up I would like to say anything you get from Vortex would not disappoint you. I wish I had had these products from the beginning of my outdoor experiences. These binoculars far exceed the expectation for the price point. I can’t even imagine what you would experience from their high end products, but do you really need to spend that much to have the best experience? 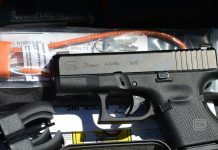 I think not at $249 and some times less, you are not going to get any better than the Crossfire for most applications. 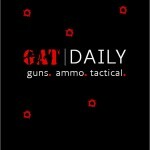 The goal at TheGearLocker.Net is to give you unbiased reviews of equipment that we use during Airsoft events. We want to give you the information and you get to run with it!